Everybody needs protein. It is one of the major macronutrients along with carbohydrates and fats. All three macros are necessary for good health but they are needed in different amounts. Protein is one of the most important because it is the basic building block of every single thing in the body plus it plays a role in the function of other systems including blood pressure regulation. According to the USDA guidelines,the average person needs about .8 grams of protein per kilogram of body weight. (.36 grams per pound of bodyweight) An average sized woman who works a desk job and rarely exercises may need about 46 grams of protein every day. However, a woman of the same size who works a more active job and exercises several times per week may need slightly more. When you consume the protein may also play a role in how it works for you. A woman who is trying to lose weight may want to start the day with the bulk of her protein within 30 minutes of waking up so that her metabolism is sparked in to action right from the very start. A woman who is working hard to build lean muscle should consume about 10 grams of protein right after her workout ends according to experts quoted in Women’s Health Magazine. Muscle building, recovery and repair is one of the top jobs of protein in general. Protein powders and other sources provide Branched Chain Amino Acids or BCAAs while also help to build lean muscle. Lean muscle as you should know, looks more compact than fat. Even if you weigh the same you will look smaller. Lean muscle will give you an added advantage: it burns more fat even when it is resting. The more muscle that you put on, the more fat you burn just maintaining it. The best protein for women might be whey protein because it tends to lower the appetite so that you can consume fewer calories without feeling deprived or starving all of the time. Whey, a byproduct of milk production is not for everyone, though. People who are following a plant based diet may choose other protein sources especially when choosing protein powders. These can include pea protein or brown rice protein. Sometimes these two are combined because pea protein can be difficult to break down and use in the body. 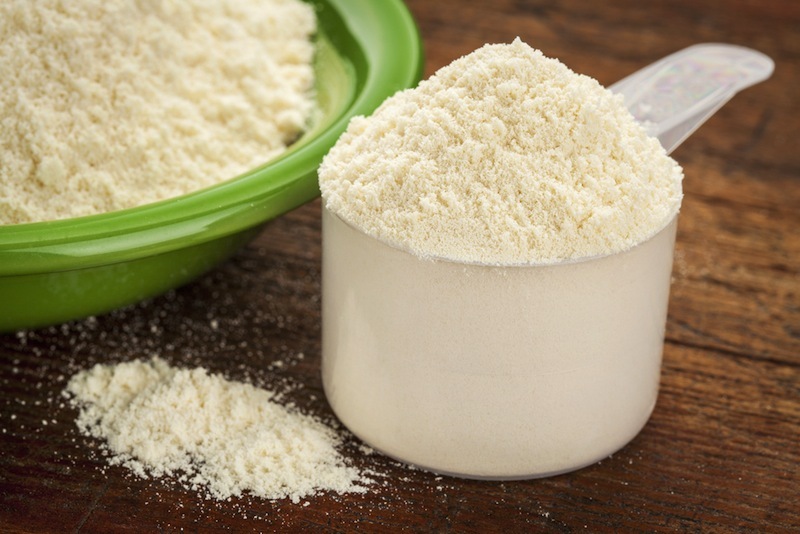 Before starting to use protein powder in any capacity, it is important to 1. Know the correct amount of protein for your needs 2. Choose the right timing and source for the protein you are using and 3. Learn to mix it with the right ingredients. Remember as with everything else, too much is not better. Overdoing it with protein can lead to weight gain and may also put stress on the kidneys and cause serious health issues such as osteoporosis. One of the most important macronutrients. Used by the body for everything from building muscles to metabolism and blood pressure regulation. Women who are active, pregnant or breastfeeding need more protein per day than a woman who is less active or not pregnant. Protein is harder to digest than the other macros helping to speed metabolism. Erythritol, a sugar alcohol. It is used as an alternative sweetener because the body cannot digest it so it technically has zero calories. It can cause indigestion and bloating as well as gas and nausea. Guar Gum can lead to an unpleasantly full sensation. Always choose the right type of protein for your needs and never exceed the suggested daily amounts. As with any change to your diet or exercise routine, consult your doctor first. The 10 grams of collagen peptides help to recover collagen which is the most abundant protein in the body. 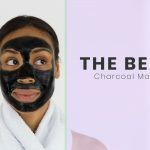 Collagen is vital to the skin, connective tissue and more. It is gluten free with 3 grams of carbs and 2 grams of fats. 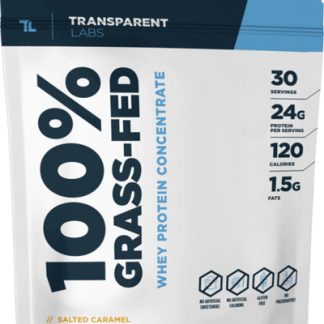 Ingredients include: microfiltered whey protein concentrate, whey protein isolate, whey peptides, skim milk, natural flavors, fructose, xanthan gum and stevia. 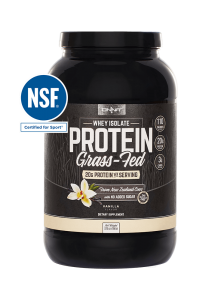 Onnit protein powder is a top protein powder for women because it uses grass fed whey isolate protein. It is available in two flavors: vanilla and Mexican chocolate. Protein Series Organic Vegan protein powder is available in 1, 2 or 3 bag sizes and comes in either vanilla or chocolate. 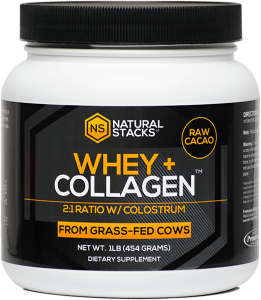 Natural Stacks, Natural Protein uses protein sourced from grass fed cows in a 2:1 whey to collagen ratio.This blend not only helps to build lean muscle but to rebuild and to repair it during recovery as well. 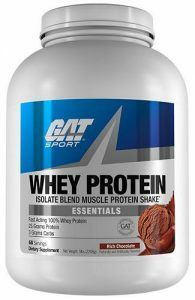 Gat Sport Whey Protein powder comes in four flavors: rich chocolate, coffee, cookies and cream and vanilla. In addition to the 5 grams of BCAAs, it has 25 grams of premium, whey protein. Fit Miss Delight protein powder is available in three flavors: chocolate delight, cappucino and vanilla chai. You can choose 22 or 36 servings as well as begin a subscription plan. Ideal Lean Protein Powder for Women is available in 3 flavors: cake batter, caramel mocha and chocolate brownie. There are 20 grams of protein and between 90 and 100 calories per serving. NLA for Her, Her Whey Ultimate Lean protein powder for women is high in protein (28 grams per serving) and uses added amino acids to help with recovery but to also help curb the appetite. Orgain Organic protein powder comes in four flavors: creamy chocolate, pumpkin spice, vanilla and vanilla almond. It is vegan, gluten free, kosher, Non-GMO, dairy free and has no artificial ingredients. 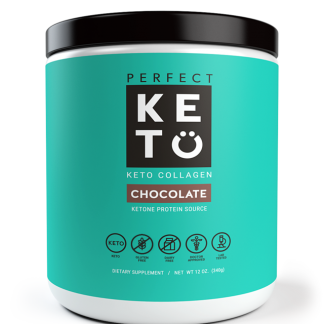 Available in four flavors (chocolate, vanilla, salted caramel and unflavored), you can order the Perfect Keto Collagen Clean Protein in a 30, 45 or 60 day supply as part of the subscription plan or make a one time order. It contains 20 grams of protein, total and 70 calories. The 10 grams of collagen peptides help to recover collagen which is the most abundant protein in the body. 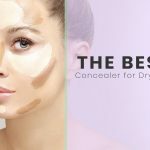 Collagen is vital to the skin, connective tissue and more. During the day it is expended and must be replaced. Most protein powders replenish some but not all of this vital component. 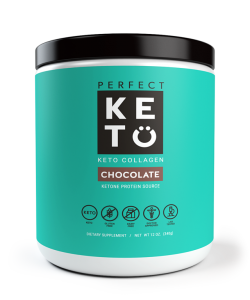 One of the first protein powders to offer complete collagen recovery with 10 grams of collagen peptides from grass fed cows. Contains MCTs which slow the absorption of protein forcing the body to use it for recovery instead of breaking it down for fat storage. Acacia fiber is a low carb source of energy and may also be a blood sugar stabilizer. Designed to help women lose weight while also building lean muscle mass, Her Natural Whey protein powder has two flavor choices, chocolate delight and creamy vanilla. You can opt for 1 or 2 pounds and a subscription plans are available. There is 20 grams of protein and 110 calories per serving. Whey protein concentrate, isolate and peptides provide a the full protein spectrum. Can be clumpy and hard to mix. The stevia may cause headaches. Other ingredients include the digestive enzymes bromelain, lactase and protease. Guar gum may help with feelings of fullness. Protein Series Organic Vegan protein powder is available in 1, 2 or 3 bag sizes and comes in either vanilla or chocolate. 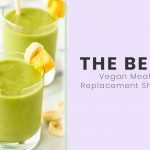 Mixing rice and pea protein ensures a more complete protein profile as well as easing digestive woes that can sometimes come with pure pea protein. It is a good protein powder for women with 24 grams of protein plus 4 grams of fiber per serving. Each scoop has 140 calories and is gluten free as well as free from added sugar. This protein powder uses stevia extract for sweetness as well. Protein is a 2:1 ratio of rice to pea protein for easier digestion and to blend more smoothly. Natural flavors, all organic (USDA certified) &nbsp;and 100% vegan. 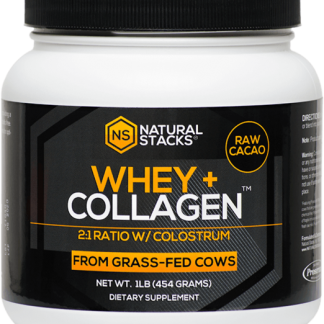 Natural Stacks, Natural Protein uses protein sourced from grass fed cows in a 2:1 whey to collagen ratio.This blend not only helps to build lean muscle but to rebuild and to repair it during recovery as well. During vigorous exercise the muscles are actual damaged. Small tears happen in the fibers. Protein especially collagen is needed to make the repairs to these fibers which is how muscles grow and become more defined. It is GMO free as well as free from hormones and antibiotics, gluten free and paleo friendly. There are no artificial or filler ingredients including dyes, flavors or sweeteners of any kind. There are 18 grams of protein per serving. It is available in 2 flavors: Madagascar Vanilla Bean and Raw Ecuadorian Cacao. You can choose a single or 2, 3 or 6 packs as well as a subscription plan. Natural Stacks includes the ingredient lists plus the suppliers for every ingredient on their website. They also have the 3rd party lab reports in the same location, easy to find and easy to read. Orgain Organic protein powder comes in four flavors: creamy chocolate, pumpkin spice, vanilla and vanilla almond. It is vegan, gluten free, kosher, Non-GMO, dairy free and has no artificial ingredients. There are 21 grams of protein, 5 grams of fiber and about 150 calories per serving. 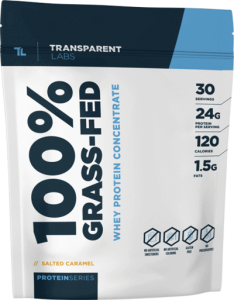 In addition to the protein sources, ingredients include an organic creamer base, organic rice bran extract, rosemary extract, sea salt and organic stevia. Organic acacia gum is used here as a thickener. It is often added to protein powders and other foods because it decreases the appetitle. It can be a problem because it can also cause nausea, gas, bloating, diarrhea and indigestion. Uses a blend of plant based proteins including organic pea, organic brown rice and chia seed. Third party lab verified to be low in heavy metals including lead, cadmium, arsenic and mercury. Although they are natural, there are a number of ingredients that could be considered problematic here. Some canisters have had foreign objects in them so always inspect your protein powder no matter where you buy it. Fit Miss Delight protein powder is available in three flavors: chocolate delight, cappucino and vanilla chai. You can choose 22 or 36 servings as well as begin a subscription plan. If you are not satisfied with this protein powder, there is a 30 day money back guarantee. This protein powder is gluten free and low carb. There are 16 grams of protein and 90 calories. It is meant to be used to help control appetite due to an ingredient called “Solathin”. There is very little information about that beyond that it is a vegetable based protein. All of the flavors use both natural and artificial flavors. Uses a vegetable based protein called “Solathin” but does not explain exactly what that is. May cause severe gas and diarrhea. 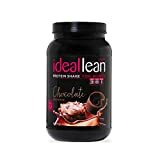 Ideal Lean Protein Powder for Women is available in 3 flavors: cake batter, caramel mocha and chocolate brownie. There are 20 grams of protein and between 90 and 100 calories per serving. Additional nutrients including Vitamin D, calcium and antioxidant super fruits. The recovery blend includes L-Glutamine, acai, mangosteen, blueberry and chromium picolinate. Includes calcium and folic acid which are both vital to women’s health in nearly every stage of her life. NLA for Her, Her Whey Ultimate Lean protein powder for women is high in protein (28 grams per serving) and uses added amino acids to help with recovery but to also help curb the appetite. It is available in 4 flavors: chocolate eclair, maple donut, peanut butter banana split and vanilla cupcake. They are meant to be delicious alternatives to unhealthy snacks so that you can stay on any weight loss plan that you choose. It does provide 24 essential vitamins and minerals. Calorie counts vary by flavor. There are 180 calories in the chocolate eclair flavor. This protein powder is gluten free but does contain some artificial flavors and use sucralose as a sweetener. Sucralose is a calorie free sweetener which is made from sucrose but can be as much as 600 times sweeter. It is on the list of food additives that are “generally considered safe” however some people have sensitivities to it and may have reactions ranging from mild but persistent headaches to gassiness, bloating, indigestion, nausea and diarrhea. If you have a sensitive stomach at all, use any new food or supplement with care and start slowly so that you have time to get used to it before committing. May have issues with shipping and/or quality control at the factory so monitor purchases carefully. 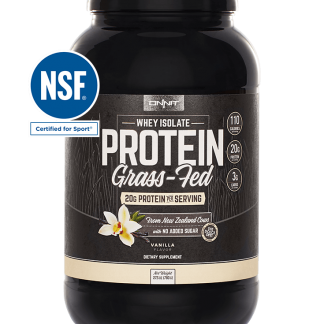 Onnit protein powder is a top protein powder for women because it uses grass fed whey isolate protein. It is available in two flavors: vanilla and Mexican chocolate. 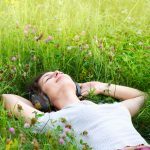 There is a subscription plan available for those who want to set up automatic shipments and save some money and time. Gluten free, sugar free and soy free. Vanilla flavor has 110 calories, Mexican Chocolate has 120. Both have 20 grams of protein per serving. Onnit protein does not use artificial sweeteners or added sugar. Instead sweetness is added by using stevia and monkfruit extracts. 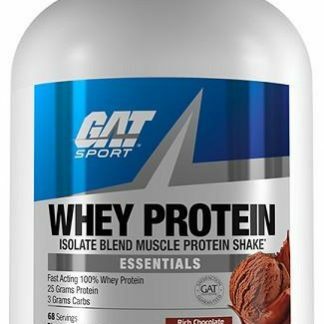 Whey protein supports both muscle gains and faster muscle recovery. Uses medium chain triglyceride oils also known as MCTs. Includes a digestive enzyme blend to make this protein easier to process for the body. Probiotics are included in the ingredients. The Mexican Chocolate flavor may be too intense for some tastes. All protein powders are not created equally. Some are going to have one or two ingredients that you prefer not to consume or in the case of the all natural, “naked” proteins may have flavors that are less than appetizing. Finding your perfect protein may definitely depend on some trial and error. You may need to read through reviews to narrow down your choices but the reviews won’t help you make the final decision on how it tastes and how it works for your needs. Whether you are looking to just lose weight, build muscle, tone up or just to feel better overall, you have to find the right protein powder based on your needs and your own personal preferences. Vanilla is one of the most common flavors to start with as it is usually a mild flavor and can be added to virtually any type of liquid. It can be used in cooking and baked goods as well. While there is an incredible amount of things that you can do with vanilla protein powder it is often the easiest one to mess up. Artificial flavors, colors and other ingredients really tend to be noticeable with vanilla since it is such a subtle flavor on its own. Chocolate flavors are harder to get right and are either spot on or unpalatable. Steer clear of the complex flavors that are trying too hard to sound delicious because they are usually a flavor mess. Before you order, use the protein calculator at https://www.calculator.net/protein-calculator.html. 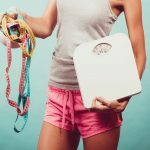 There you will find other calculators which will help you determine how many calories per day you need as well as your resting metabolic rate and other interesting stats. 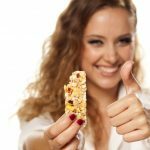 Once you know how many calories per day you need and how many grams of protein you can get an idea of how much protein you should be getting with each meal plus snacks or supplements like protein powders. Look for a protein powder that has roughly that many grams per scoop so that you do not go overboard with the protein intake. Like anything else, too much protein can be a problem because it is hard to digest and can lead to indigestion and bloating. It can also lead to weight gain and other health problems. The key is to get the right amount of the right kinds of protein and at the right times. Finally, remember that anything you add to the protein powder will change the numbers on the label. If you mix it with anything other than water it will increase the calorie count, the protein amount and everything else. Most protein powders are meant to be mixed with water or another beverage. It is usually recommended that you mix all powders with cold liquids because heat can degrade the protein. 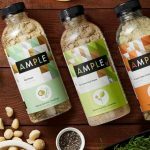 Some brands are now formulating theirs to be mixed with hot coffee or tea for a morning burst of protein.